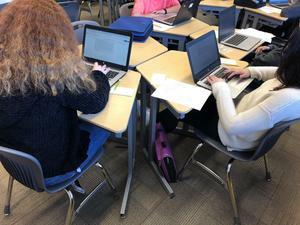 Mr. Passinetti’s class is working on a crossover with the ELA and History department on the state CBA. Mr. Passinetti’s class is working on a crossover with the ELA and History department on the state CBA. Students researched multiple sources in their history class to find support for an argumentative essay that they will write in their ELA class on whether or not the death penalty or gun control is constitutional. 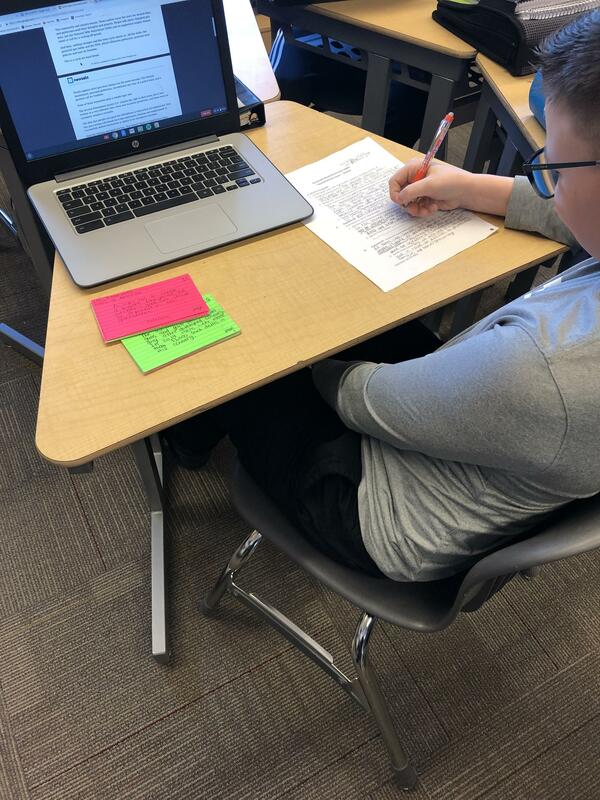 Students found their supporting details and wrote them on note cards to bring to their ELA classes to help them with their outlines.